Such an interesting story and great work Denise. 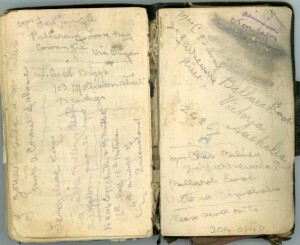 An interesting story, like to know more about the person behind the diary. Hi, PC Minifie was my grandmother’s brother. As a boy I remember reading some of his diaries which were so graphic and interesting. My brother, Jim, painstakingly copied all the diaries and we went to the Sun in Melb to see about getting them published. But there was no interest in those days. My bro took the diaries to our rels in New Zealand and I think he left them there with some of our NZ rels, the Minifies/ or the Rankins. Have recently discovered this diary transcription through family. PC Minifie was my grandfather. 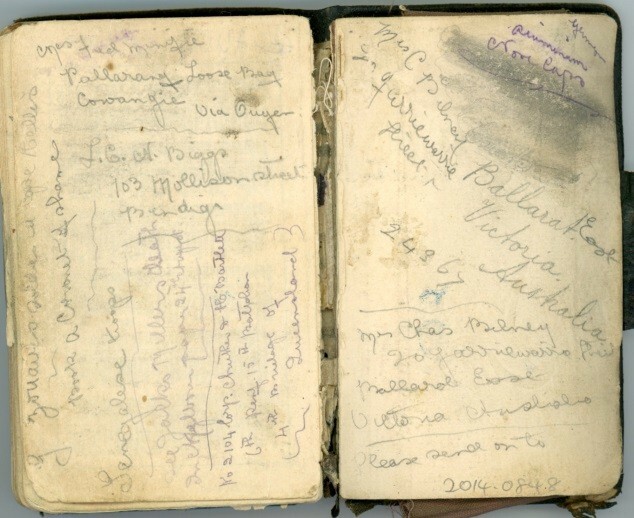 The reference in the diary of A. McCallum was my grandmother. They never married a you may be aware of. My father Ian Douglas was born Oct. 19th 1914. He did look very much like PC. I was very interested in reading your blog as we do not know much about the Minifie family. 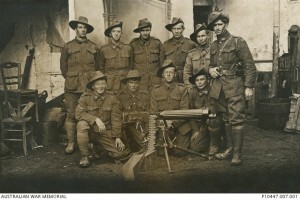 I do have copies of PCs WW1 records from Aust. War Memorial since 2001. Which contains letters from his mother to the Govt. after WW1. My sisters 35 year old son had a remarkable resemblance of PC (especially the above picture) when he was in his twenties. I am pleased, as any family would be to read the diary entries. This has helped me to connect to my grandfather as a person. Hi. Perc was my grandfather’s brother. He was Frederick William Ryder Minifie. My father was Henry Frederick Minifie. 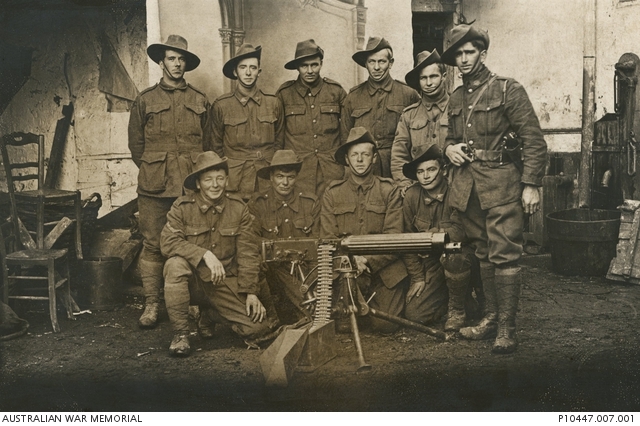 Leave a reply on "Percival Carl Minifie’s World War One Diary"